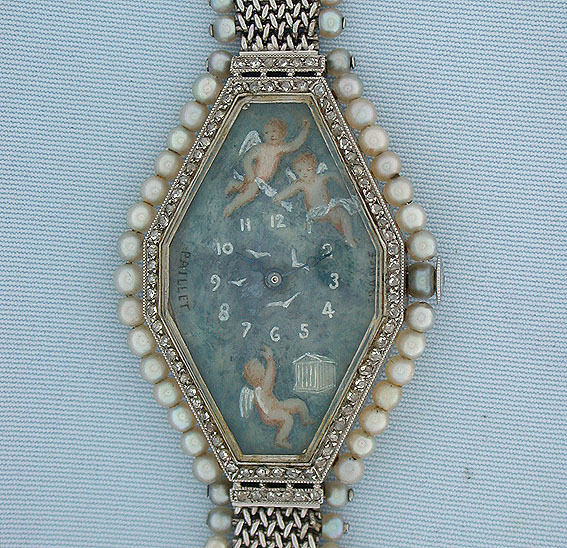 Fine and rare early platinum, diamond, and pearl vintage ladies bracelet wrist watch with painted enamel dial by Verger, Paris, circa 1913. The lovely dial by Paillet, a well known dial painter. 18 jewel 5 adjustment movement. The case and movement signed Verger. Overall length 6.25 inches. Verger was a highly respected Paris Art Nouveau and Art Deco maker that supplied watches to high end retailers such as Gubelin and Cartier. 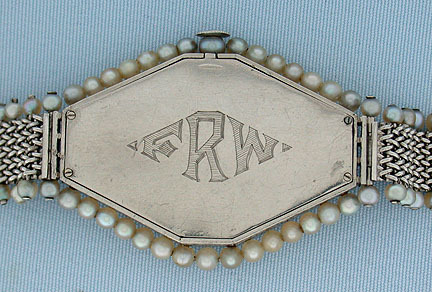 This example was made for the Philadelphia jeweler J.E. Caldwell.